Tucked away at the foothills of the Santa Cruz Mountains in California’s wine country, Rosewood CordeValle is a hidden gem that combines the extraordinary beauty of an awe-inspiring natural landscape with the convenience and hospitality of a luxury resort. Sprawling over almost 1,700 acres and cradled in a valley surrounded by rolling Northern California countryside, the resort is a sanctuary of gently undulating meadows, tree-dotted hills, seasonal creeks and waterfalls. Masterfully managed by luxury resort expert Rosewood Hotels & Resorts, Rosewood CordeValle also includes an 85 acre winery and vineyard. 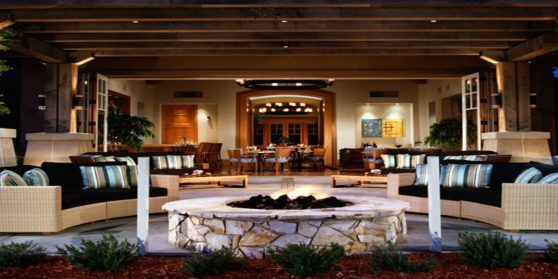 The architecture and ambiance of Rosewood CordeValle carefully reflects the natural beauty of its surroundings with meticulously designed, California Craftsman-style structures. This organic, historically resonant design, created by Backen & Gillam, is carried throughout the resort, from the Clubhouse to the guestrooms to the Golf Shop. The interior design, by Chhada, Siembieda/Remedios, takes its cue from the colors and textures found in the surrounding hills and mountains, and this rare melding of architecture and interior design serve to highlight, rather than detract from, views of the pristine golf course. The understated luxury of the clubhouse incorporates over 4,100 sq. ft. of private, state-of-the-art meeting and conference rooms as well as a cigar room, as well as three distinct dining venues; One Iron Bar, Lion’s Peak Grill and Il Vigneto, as well as special event dining for up to 150 guests. The centerpiece of the resort is a 7,360-yard championship golf course, which boasts 360-degree unobstructed views. The resort also features Sense spa, fitness room, outdoor pool and Tennis Center with 4 plexicushion tournament courts. 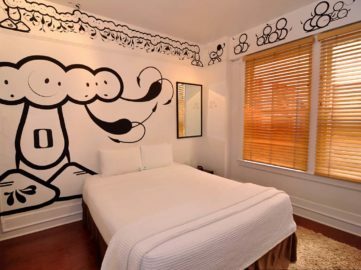 WEST COAST ART HOTELS OFFER UNIQUE TRAVELING EXPERIENCE. CHECK OUT THESE HOTELS LOCATED IN LOS ANGELES, SAN FRANCISCO, SAN MARTIN AND PORTLAND.